Part of a winemaker’s passion is finding a niche that makes their wines uniquely different yet at the same time stand out as exceptional. 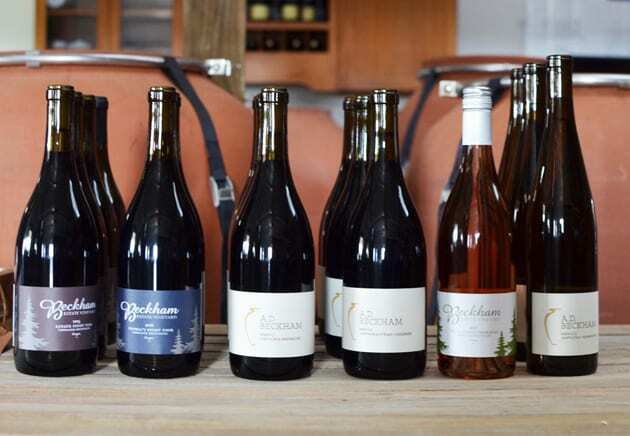 For Andrew Beckham utilizing his ceramic background into the winemaking process is tantamount to creating his wine. The answer became designing ceramic vessels to make amphora wine. By doing so, Andrew sets his Willamette Valley winery, Beckham Estate Vineyard apart from others through the use of his two passions art and wine. I first discovered Beckham Estate Vineyard when dining at the Mason restaurant in Sherwood, Oregon. The wine, Beckham’s Amphora Grenache 2015 was exceptional, and I wanted to purchase a bottle right then and there. Of course, I later found out the wine was sold out but fortunately, the winery had a case left and sold me one bottle. 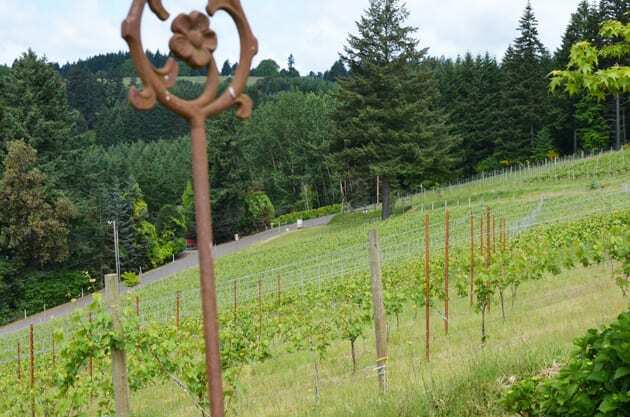 Nestled in the hills of the Willamette Valley’s Chehalem Mountains AVA one discovers the Beckham Winery. One traverses windy roads getting there but finds it well worth the trek. The cute cottage like tasting room invites you in to sample the wines. We sat on the patio enjoying the fresh air scented with the smell of pine trees as we sipped wine. Andrew and his wife Annedria purchase the property in 2004. In 2005 they planted their first vines. The Beckham’s released their first vintage in 2009, and they opened the tasting room in 2011. Today the Beckham’s cultivate 8.5 acres of vines of which approximately 5 acres is dedicated to Pinot Noir, one acre to Riesling while grafting another acre to Sauvignon Blanc. Beckham also grows Trousseau Noir, Aligoté, and Nebbiolo. Beckham’s location is on the Parrett Mountain where the soils consist of volcanic basalt known as Jory. Andrew, a ceramic artist, and teacher at the local high school became fascinated with Amphora winemaking after reading an article about it. 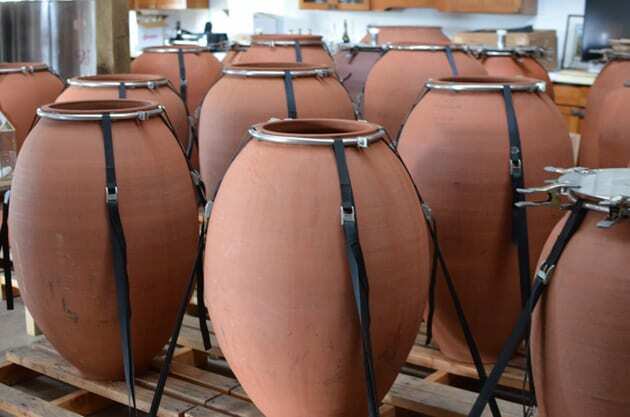 He surmised that with his background in ceramics he could create his terracotta Amphorae to age his wines. The project is a work in progress because the immense size of these ceramic vessels creates many challenges in firing. 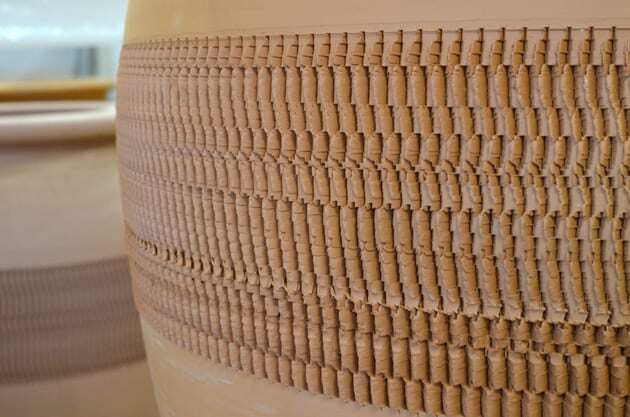 If the kiln temperatures are too hot, the vessels become vitrified and are non-porous. Andrew Beckham, Beckham Estate Vineyard, discussing amphora wine. The next challenge was the size of the clay vessels. Andrew created special equipment to accommodate the larger sizes, and he experimented with the types of clay. The task of making Amphorae is very time-consuming. One 200-gallon vessel can take three weeks to create. The amphorae are anchored to pallets to move around the winery. With amphora wine, Andrew finds fermentation is cooler and takes longer than his traditional styled wines. These wines ferment with native yeasts and no inoculation. They are unfined and unfiltered. 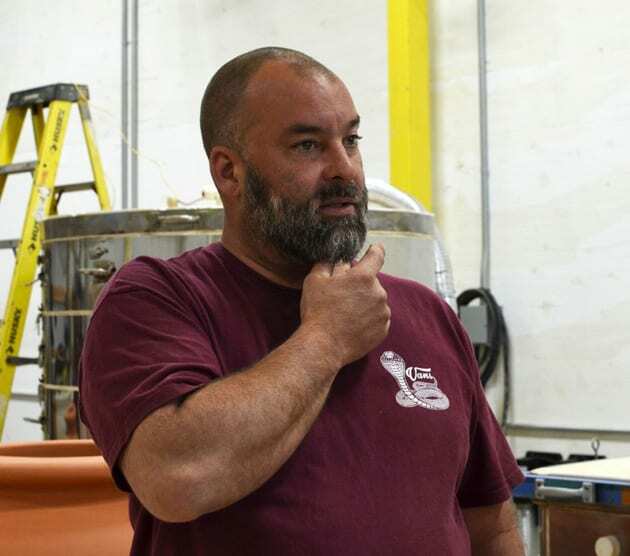 Beckham’s first amphora vintage occurred in 2013. 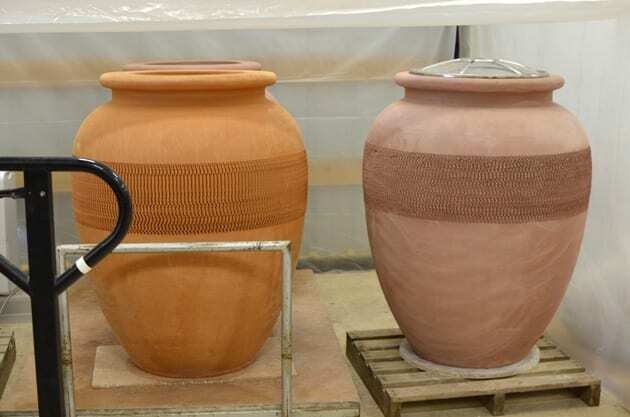 Viewing the Amphorae at the winery, one observes the detail and beauty of each vessel. They are an art piece unto themselves, almost like a sculpture. Their splendor also indicates the marvels of the wine that is inside. Andrew plans to go commercial with his Amphora wine vessels. The company is called Novum. Andrew distinguishes his amphora wine by calling them A.D. Beckham versus his more traditional Beckham Estate wines. The amphora wine label uses Roman numerals to specify the vintage. Through his branding, one senses the ancient historical aspect of this process of making wine that both the Greeks and Romans utilized long ago. My favorite was the A.D. Beckham Amphora Pinot Gris 2015 with its fresh, crisp flavors. Leaving the skins on creates a Rosé effect to the wine. It reminded me of Ramato, where winemakers macerate the juice on the skins. In this case, it is Pinot Gris rather than Pinot Grigio. The Amphora gives the wine some earthy qualities. The wine exhibits subtle fruit almost like raisins, yet the wine is very refreshing. A.D. Beckham Amphora Vermentino 2017 utilizes fruit from the Applegate Valley in Southern Oregon. The fruit partially ferments in Amphora for eight weeks and then moves to stainless. The wine delivers a crisp and refreshing presence with an oil component. The A.D. Beckham Amphora Grenache 2016 fruit comes from the Rogue Valley in Southern Oregon. The wine ferments in amphora and ages in both amphora and neutral French oak producing a lighter Grenache that smooth and balanced. The A.D. Beckham Amphoa Syrah/Viognier 2016 co-ferments in amphora and ages both in amphora and neutral French oak for ten months. I found the wine bright with flavors of raspberry accented by hints of savory spices and white pepper. 2017 Beckham Estate Olivia’s Rosé takes its name from the Beckham’s youngest daughter, Olivia. The grapes are grown specifically for Rosé. Find flavors of apricots and melon. 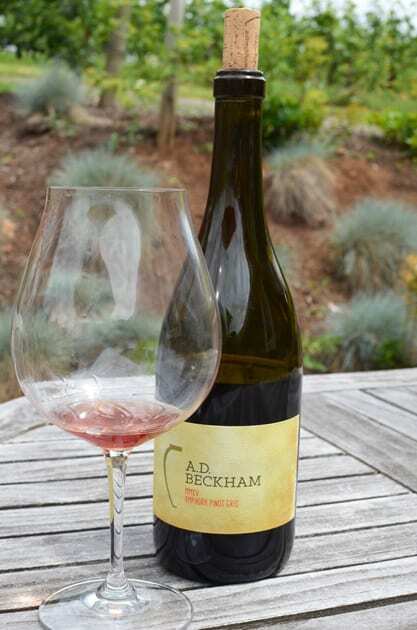 2015 Beckham Estate Pinot Noir is Beckham’s field blend and flagship wine. The wine consists of four different Pinot clones that deliver a bright and very drinkable wine. 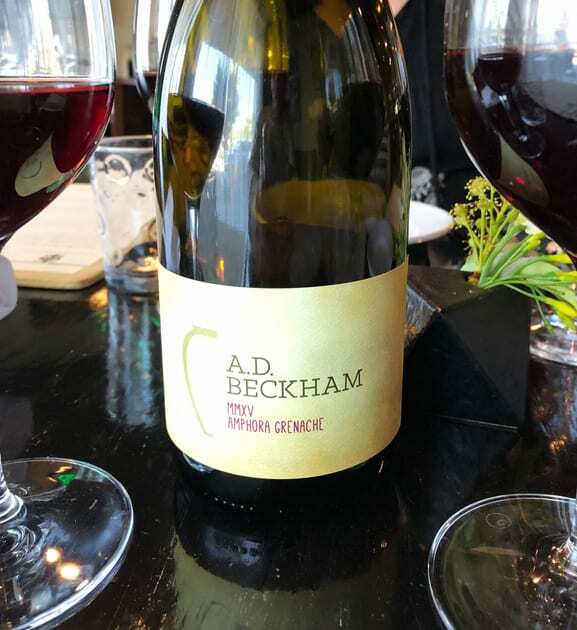 2016 Beckham Estate Sophia’s Pinot Noir showcases one block from the Beckham’s Vineyard. The wine named after the Beckham’s oldest daughter displays flavors of cherry and raspberry accented by hints of cinnamon. We all strive to be unique, and Andrew’s achievements with amphora wine infusing his love of art and wine to accomplish this goal enabled him to excel. 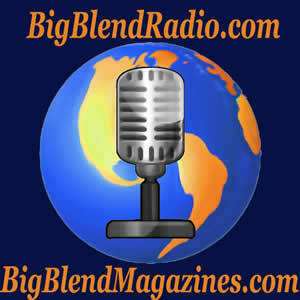 Note: Common to the wine industry, this writer was hosted to the wines sampled. While it has not influenced this review, the writer believes in full disclosure.